When you purchase an online 12 week plan you receive a receipt by e-mail. There is a link on the receipt to download your PDF format training plan to keep on your computer, phone or mobile device. It can also be printed. You will get immediate access to your training program(s). As soon as the payment is complete you will be sent two emails, one with your login details, and another with the receipt of your purchase(s). You will then have complete access the program(s) you have purchased right away. If you do not receive these emails after 10-15 minutes feel free to contact us. All information you provided in the ‘Payment Checkout’ section of the site, such as your name, email address, and credit card details is private. 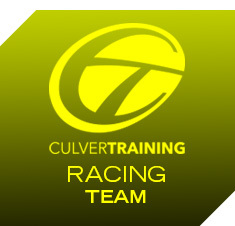 Information provided in the ‘My Profile’ section of the Culvertraining website such as your training results, is only viewable by other members of the club website. We do not use members photos, stats or personal information without consent, or unless members themselves have chosen to make them publicly available. The Culvertraining website is private and secure and we take protecting your privacy and information very seriously.